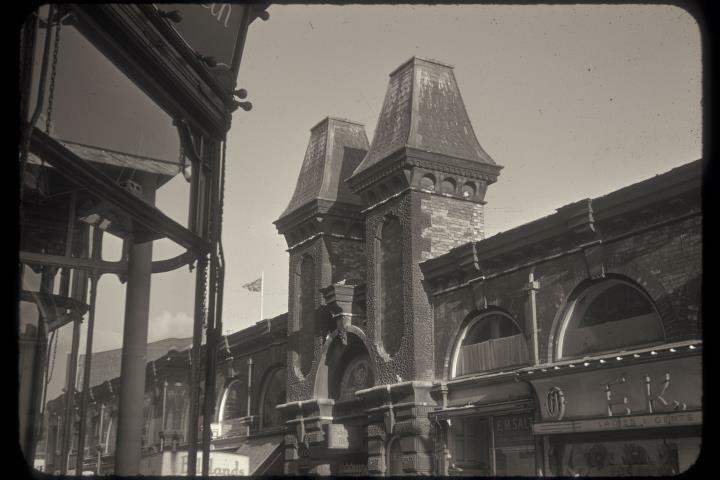 Description:The entrance to Longton Public Market on the Strand. This was one of six entrances to the market, but by far the most ornate. Built with a French renaissance style roof this market opened in 1863 and was refurbished in 1991. Above the main door is a mosaic 'This Market Hall Was Erected AD 1862'. The sandstone for the building came from Lightwood Quarry. There had been a second market in Longton, on Commerce Street, demolished in the 1970s. The Union Jack flying on the taller building behind the market is on Longton Town Hall, on Times Square.